We take your vocal skills to the next octave. Performance Vocal provides professional vocal training for students ranging from beginners to experienced recording artists. 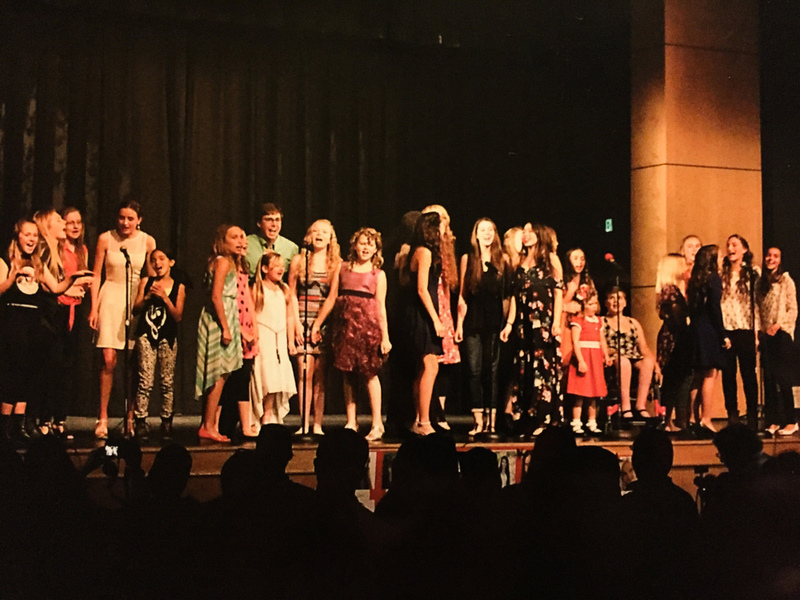 Our students learn the fundamentals needed to sing in any venue: be it theater or concert hall. With experience working with recording artists and managing talent, Performance Vocal can help you achieve your dreams. We can introduce you to the right people in the industry and assist you in developing your career in music or theater. "I started taking lessons with Bobbie at 13 years old. She was the one who gave me the confidence to perform. I can undoubtedly say that I will never meet a more energetic and encouraging teacher for as long as I live. Bobbie has a way of making you see things in yourself that you didn't think possible and will go above and beyond to help you see your true potential. Though she taught me many technical, vocal, and performing skills, the most important thing I walked away with was the belief she instilled in me that I could do anything I wanted. I wouldn't be where I am today if I had never met Bobbie." "Bobbie sees the best in everyone's unique voice, knows how to stretch it, and find their own personal pocket. She's so enthusiastic, excited, and passionate about that it motivates you. Her specialty is in her performing and her bold breathtaking voice. She has helped me so much!" "The profound impact Bobbie has on my two daughters is priceless. The girls have been students since 2012 and they are beautiful soloists now. "Bobbie Influences their character, and develops their stage presence. Bobbie's personality is infectious and has influenced my daughters in their presence and in their individual day-to-day lives." "Bobbie doesn't just teach you vocal technique, she gives you the confidence to be vulnerable and focus on the feelings of where the song can take you. This empowerment was invaluable to me as a singer."